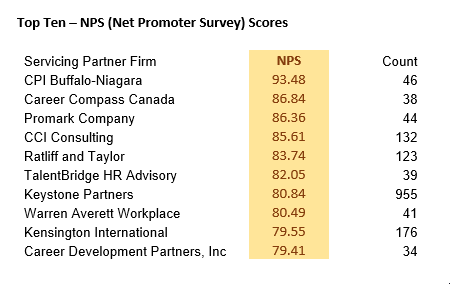 Career Compass Canada ranks in the top 10 per cent of Career Partners International global system of 75 partner firms servicing clients from 300 locations. 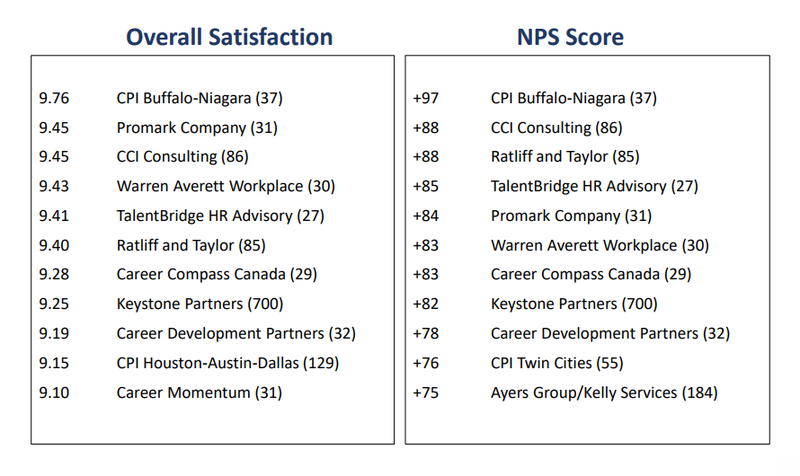 Our Net Promoter Score is industry leading at 83 per cent – a score above plus 50 per cent is considered excellent. 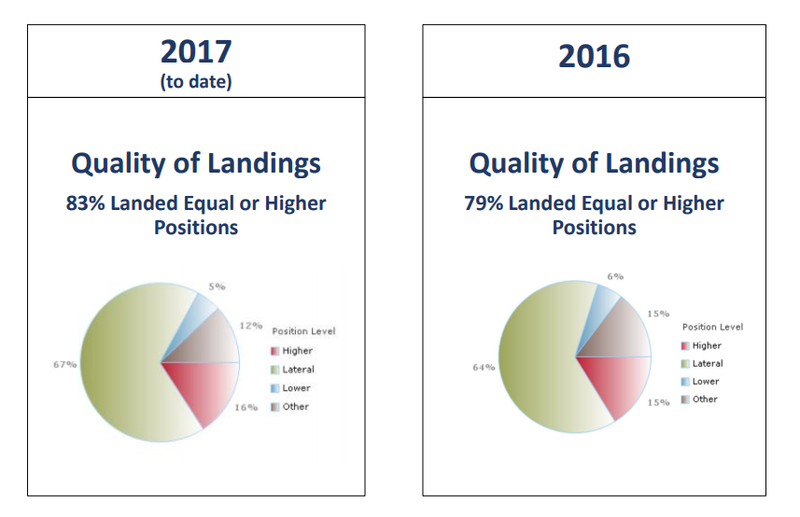 Our quality of landings for people using our Career Transition support is impressive with 83 per cent landing in equal or higher positions they left.